Bed Bug Barrier Testimonial – Preston 3072. The powder is amazing. 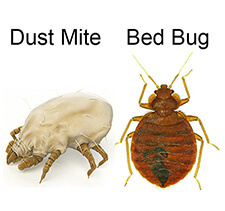 After paying nearly $2000 in exterminator fees, I still had the bed bugs and my room was full of toxic chemicals. It is so overwhelming trying to get rid of bed bugs but this powder was the bomb – worked like a charm, quickly and easily and I didn’t have to throw out a thing! I am so grateful that this product exists – I can’t tell you how relieved I was to find something that works.